This blogpost is a continuation of an idea that formed with Kalyan Karmakar’s Facebook post. He talked about Vegetarian Brahmin cuisine from the South which kind of put him off as it had been termed Brahmin. Although with the change in today’s societal shift in removal of the caste system, I can’t help but disagree with the fact that the caste system, religion, land and wealth went on to define the food in a household. Religion as a context shouldn’t apply to today’s behavioral concepts but yet holds paramount importance when it comes to food. With the practice of one’s faith came an amalgamation of local dishes and belief. The caste system gave birth to many such dishes like the use of offal parts which wasn’t bought by the well to do. This can be beautifully highlighted especially in the Telangana cuisine. Despite being under one of the wealthiest rulers in the country, the food of Telangana has always taken a backseat. The ruler believed in keeping his subjects under a lot of pressure. So if most of the citizens are going to be thinking on how to get their next meal, the probability of a rebellion happening decreases. 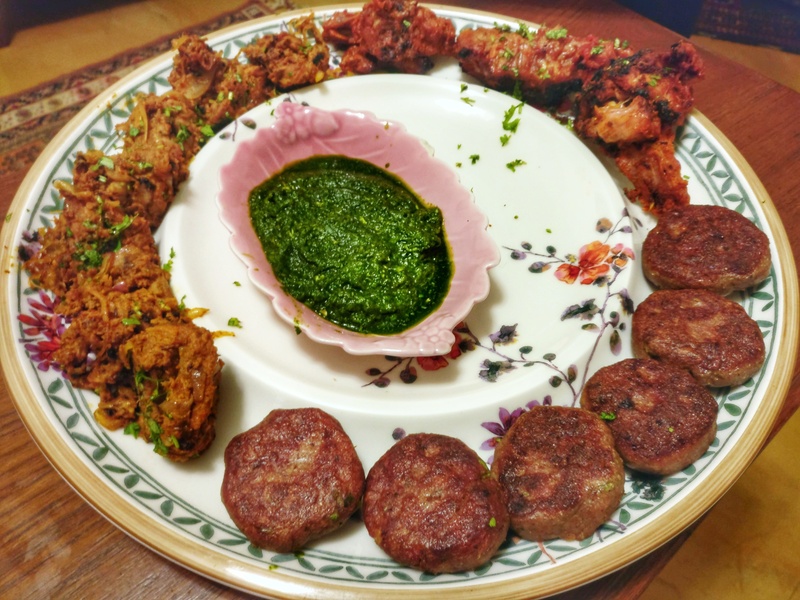 Thus you see a lot of usage of Boti, Gurdha and Keema in the cuisine of Telangana with the most basic spices than the numerous dishes which originated out of Andhra, a fertile belt with a vast shoreline. But the topic I want to really get into is the Rajputs. There has been plenty of coverage in recent times about the Rajputs because of a movie. But let’s look into this from an angle of culinary history. Now the Rajputs weren’t confined to Rajasthan alone and expanded as far to Central India and Odisha. As most of the invaders came into Indian through the north, they gradually bought in their food too. Hence this led to a seepage of Mughal influences into Rajputana food too. As they say in India that the language changes every six kilometers, for food that changes with every household. This can be perfectly illustrated with the Laal Maas. Just like the many fictional characters created by literature, this is one fictional dish which arose out of Recipe books. There is no known time frame as to when the Laal Maas went on to be defined what it is now. In fact the many Rajput food historians absolutely do agree that the Laal Maas is a colossal imagination formed out of thin air. The Laal Mass is what we can ingenuously put down as a jhol that is made in many Indian homes. I had heard of a competition happening where the judge said that the original recipe of Laal Maas is only made using the chilies from Mathania, a village in Jodhpur. This is where geography comes into play because the village of Mathania ceased to exist long ago and so did it’s chilies. So the next time you head to Amazon.in to buy the best Mathania for preparing the Laal Maas, this might be worth remembering. So if the chilies were only to be sourced in Mathania, didn’t the kingdoms of Begu, Bhainsrorgash and the other 10-12 kingdoms which make up now Rajasthan have Laal Maas at all? If the gravy was white and used green chilies, it was called Safed Maas and when red, it was called Laal Maas. This is the most uncomplicated way of putting the nomenclature of a dish whose origins have been a subject of much debate. The Laal Maas uses the most basic ingredients: onions (an approx. of 250 gms to a kilo of Meat. The more the onions the sweeter the Laal Maas turns out to be), Ginger, Garlic, Chili and Coriander Powder, Turmeric Powder, Salt and Khada Masala for the initial tempering in the oil. The curd is used as a souring agent although some of the households do use a little bit of tomatoes too. Moving on to the part on how the caste and wealth play a major part in making of Laal Maas lay in the tempering. While the wealthy households tempered with cinnamon, cardamom, cloves and the likes. The not-so-well-to-do families used the Pathar ka Phool in the tempering. It is believed that this gave a much fuller taste to the Laal Maas as they had to make do with the least amount of dishes and hence a more enhancement of flavor unlike the rich who had variety. So does the Caste System, Religion, Region and Money play a major role in food? It is a huge resounding YES from my end.